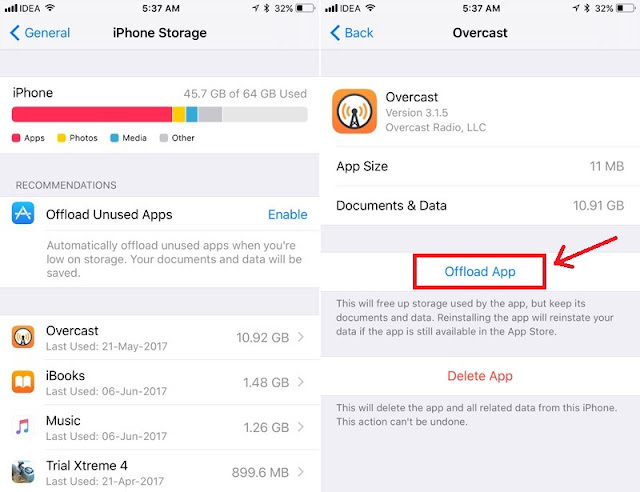 Storage space on our smartphones is never enough, and iOS 11 comes with a long requested option to help with that: removing apps that you haven't used for a long time whenever space is running low - but keeping the data so we can reinstall it whenever we want and keep everything as it was. It took nearly a decade, but Apple has finally heard one of my longest standing requests, designed to deal with the accumulation of apps that we rarely use but keep on our iPhone just to keep them handy should we ever need them sometime - or maybe, just maybe, its some form of mania. 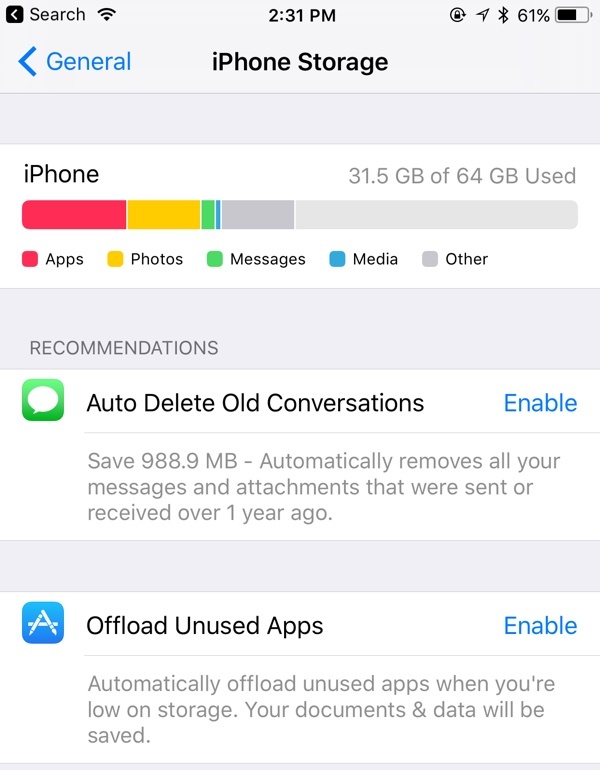 With this new option, you can offload the app, which eliminates the app but keeps your data; which ends up being the same tactic Apple implemented to help with iOS upgrades on devices that did not have enough space for it. 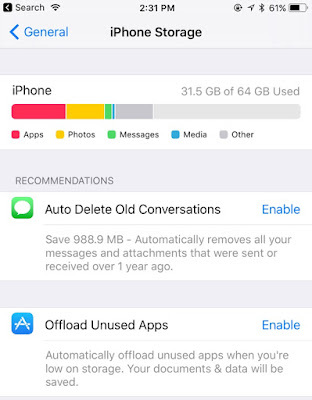 Now, this becomes available to benefit users during regular use of their iPhones and iPads, freeing needed storage space when it runs low (and we know that it is always a matter of time until it happens). There is only a small detail that you'çl need to take into account. To be able to re-install the app, it must still be available in the App Store; so, if you want to keep some old apps that have since been removed you should not use this feature - although it may not make any difference at all, as your iPhone will stop running old apps anyhow.